We ventured to Jalan Abdul Samad for this hidden gem of an authentic Thai restaurant- Tera Thai. 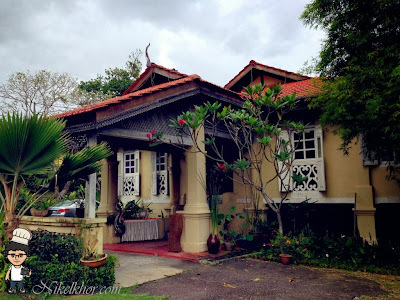 Nestled within the neighbourhood near to Pantai Lido, it is not too easy to locate the restaurant unless you are familiar with the area. 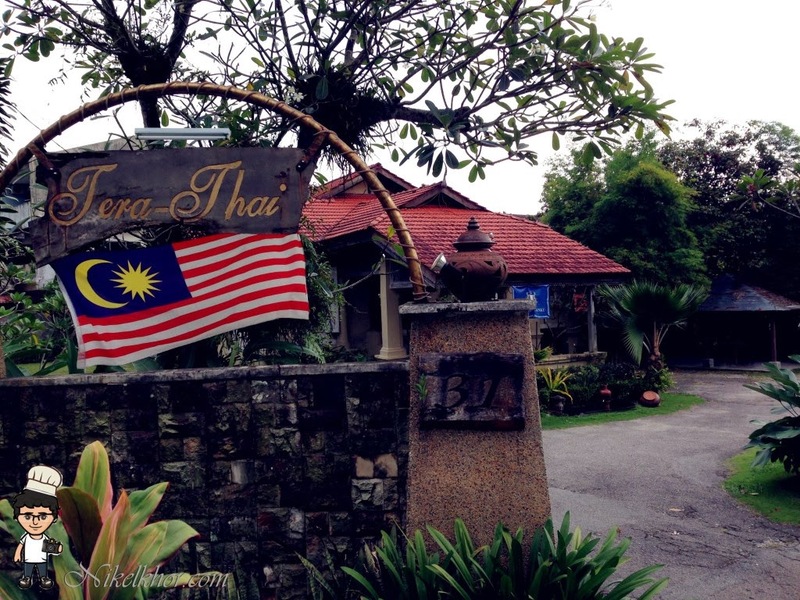 Tera Thai running the business from a bungalow house, the exterior design retains the features of traditional village house. There are parking spaces within the compound of the bungalow, hence finding a parking space is not a tedious chore at all. 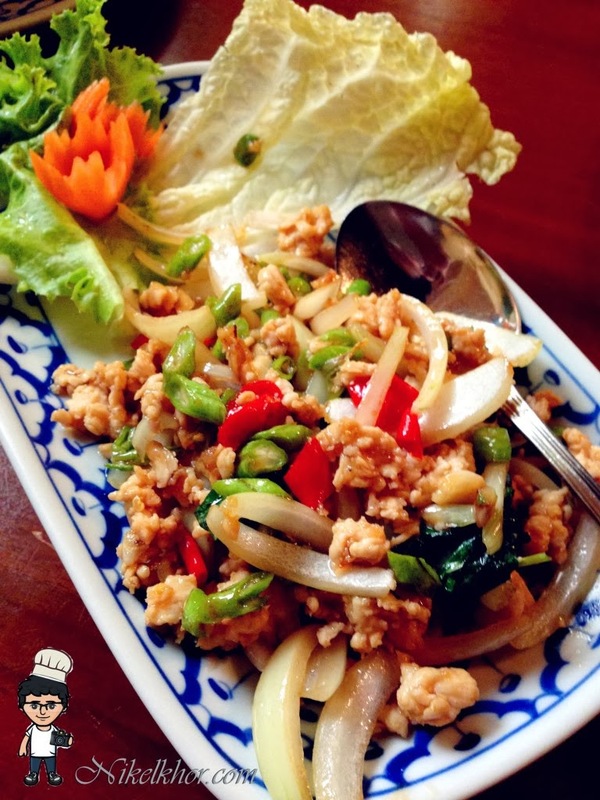 The restaurant is air-conditioned, comfortable and simple decorated with little ornaments with Thai characteristic. The restaurant is separated into few section with the Thai art curtain and also a private room which can cater up to 20 pax if you decide to throw a mini Thai party. Too bad, no photo has been taken showing the great environment. The menu features mainly traditional Thai cuisine such as tom yam, green curry, stir-fried minced chicken with basil as well as creations all made with market-fresh spices and exotic ingredients. Started our meal with Tom Yam Talay Nam Sai, the hot and sour clear seafood soup. 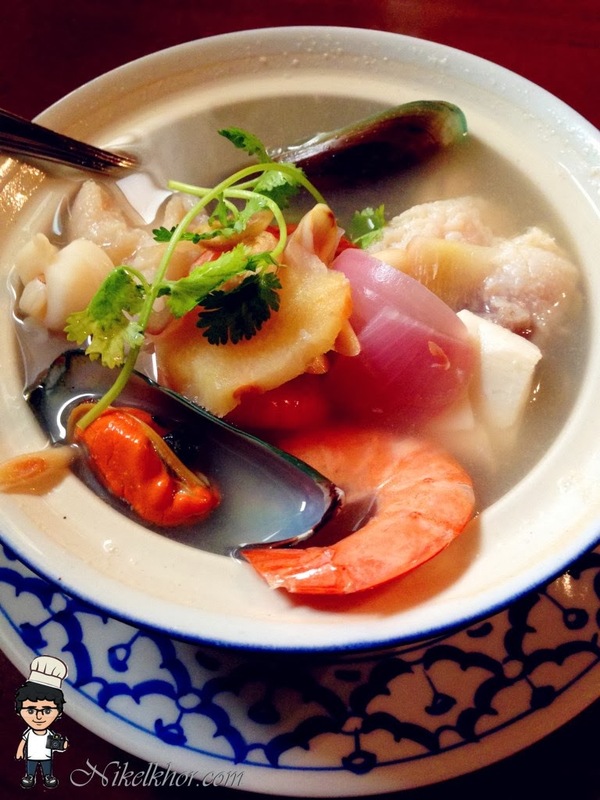 The tom yam is the small portion that feeds two. With large fresh and bouncy prawn, chewy squids, oyster mushrooms and a handful of herbs and green to boost, it really kicking the taste buds, which is easy to go at first and later on the spiciness would left on the tongue for quite some times. The minced ground chicken meat is infused with aromatic Thai basil leave. It was delicious, with fine balance of fiery hot and savory. I just loved that dish, best served with rice. 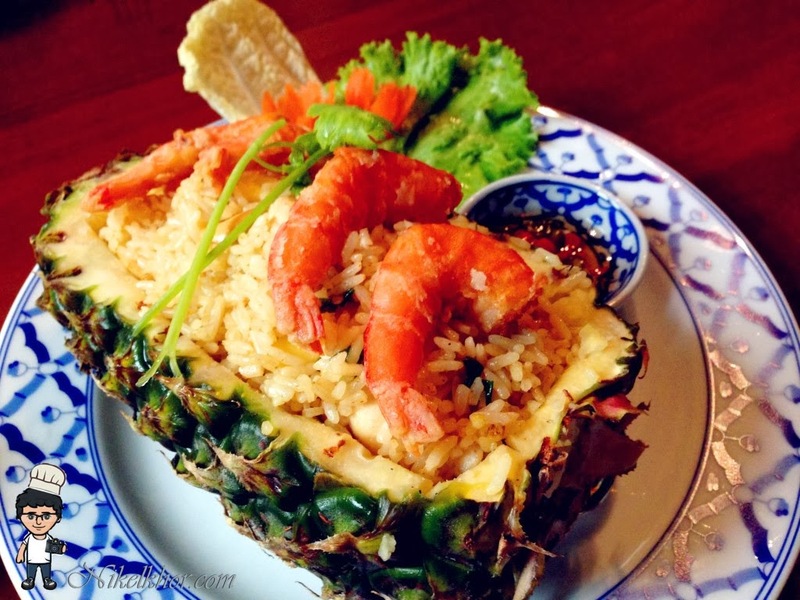 Plenty of pineapple is hidden in the rice with a hint of curry powder. It is also added with cashew nut, providing different layers of biting texture to the dish. 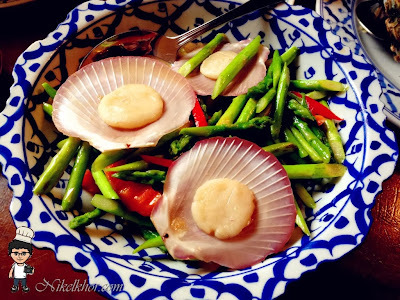 A green plate among the Thai cuisine, young asparagus were chosen which is crispy on the outside but tender in the inside. 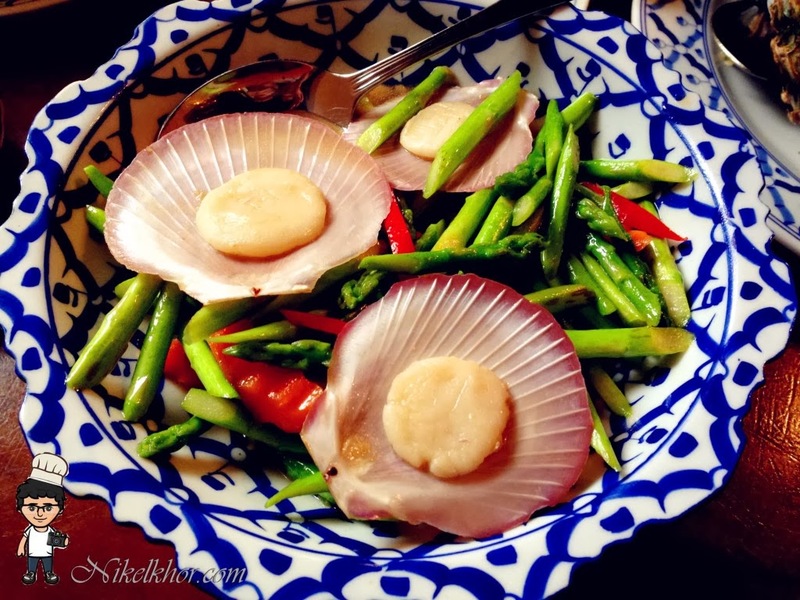 The fresh scallop and oyster sauce successfully enhance its taste. 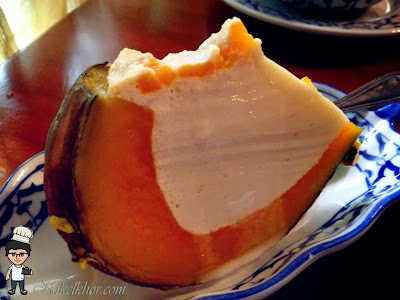 We did not go for the famous and signature Thai dessert of red ruby water chestnut or mango sticky rice, as there was something unique that caught our attention and curiosity. Custard steamed in pumpkin may not be the most popular or common Thai dessert and look weird to some, but I think it is so unique and tastes delicious. The custard is smooth and with the fragrance of coconut milk. 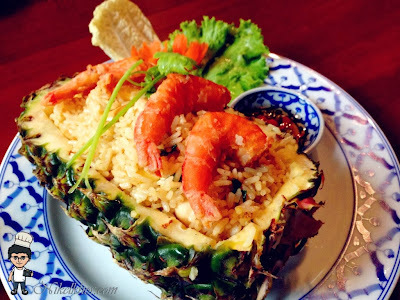 Tera Thai claims itself as a fine dine restaurant and hence, portion-wise, the dishes are served in relatively small portion, but definitely at a reasonable price. It deserves to be re-visited. Its good and not as expensive.